Victorian Opera once again leads audiences along a challenging path less travelled with Claude Debussy’s only opera, a revolutionary work that’s rarely performed on these shores. With a fine cast led by three Australians making names for themselves overseas, Richard Mills conducting a youthful orchestra with his usual poetic insight, and thoughtful direction and design, it’s a richly rewarding journey. Based on Maurice Maeterlinck’s 1893 play with a libretto by the composer, Pelléas et Mélisande premiered in Paris in 1902. Its mysterious story, presented as a series of tableaux, is full of open-ended questions, particularly about who Mélisande is. Found in the woods by the king’s grandson, Golaud, she refuses to reveal anything about herself. 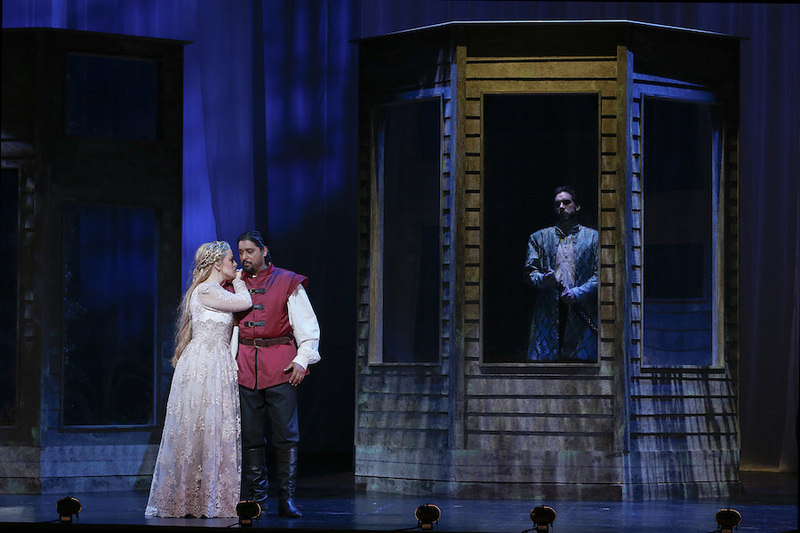 Nevertheless, they marry, but when Golaud’s half-brother Pelléas appears, he and Mélisande fall in love. Her increasingly suspicious and jealous husband forces his young son by another marriage, Yniold, to spy on the pair, adding to the opera’s sense of unease. These family relationships would be unclear without the program synopsis, especially as there are several absent figures: deceased spouses and a dying father. It’s all part of Pelléas and Mélisande’s impressionistic narrative, which focuses more on human emotions than plot. Debussy’s music is also impressionistic, in stark contrast with the operatic conventions of the day. Harmonic and melodic ideas are few, though evocatively deployed, and there are no arias – the singing is reminiscent of recitative. The first half’s dreamy fluidity gives way to moments of dark drama, all sensitively interpreted by the Australian National Academy of Music Orchestra. Conductor and Victorian Opera Artistic Director Richard Mills drew out the score’s textural beauty and unsettling mood. The uniformly good cast was notable for pleasing French diction throughout. Soprano Siobhan Stagg, ethereal, enigmatic and fragile as Mélisande, sang with clarity and tenderness. As Pelléas, Angus Wood grasped the opera’s rare lyrical moments, in Act Four’s bittersweet duet with Stagg, to show off his warm tenor. Samuel Dundas also grasped the dramatic possibilities of Golaud, a darker, older role than is usual for him: his rich baritone and physical presence were subtly threatening. Among the supporting cast, bass David Parkin was a noble, steady force as the sympathetic but ailing king, and Sophia Wasley interpreted Yniold with remarkable veracity. This petite soprano pulled boyish faces, from puzzlement to wonder, and revealed a voice of lovely purity with a golden lower register. Director Elizabeth Hill underscores the opera’s enigmatic, emotionally disjointed relationships by having the cast sometimes deliberately look away, even in the opposite direction from, each other. Designer Candice MacAllister also uses spatial ambiguity to represent human disconnection with a simple set dominated by three bay windows. They are frequently rotated, mirrored interior to darkly transparent exterior, by three dancers (who also silently, graciously carry out other practical yet dramatically notable tasks throughout). Behind these window structures, long, sheer white curtains are staggered, acting as screens for colourful, atmospheric lighting, before falling suddenly at significant moments toward the end. 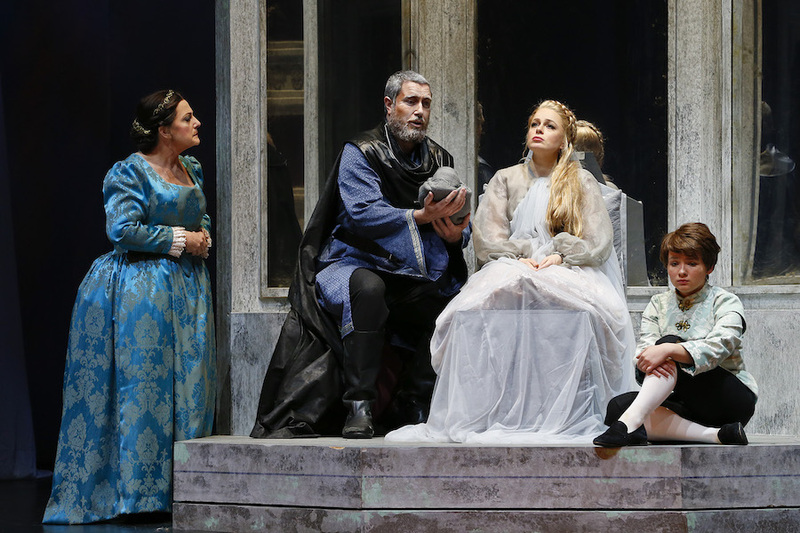 MacAllister’s costumes are vaguely medieval, but like everything about this opera it’s impossible to pin down, so Mélisande wears shoes of a much later period, for example. There are some gorgeous brocades, and Stagg’s three delicate gowns are of pale lace with touches of shimmering beading, but there are also some restrained costumes, and all are in support of character more than mere visual delight. Like a dream that’s simultaneously beautiful and unsettling, whose logic and meaning are never quite within our grasp, Pelléas and Mélisande could be a nightmare in lesser hands than this Victorian Opera cast and crew. Instead, the company concludes another season with a daring success. Melbourne’s yearly awards ceremony for the performing arts celebrates 2018's outstanding achievements. A cast of uncommon distinction headed by Joyce El-Khoury's powerful Mimì makes this revival feel anything but routine. Two new Australian operas, an Estonian choir, the eight-hour theatrical tour-de-force Gatz and a host of "Made in WA" productions feature. Simon Phillips' entertaining production of The Turk in Italy gives Rossini's comedy plenty of sparkle. Another top shelf Pelléas means it's chacun á son goût. 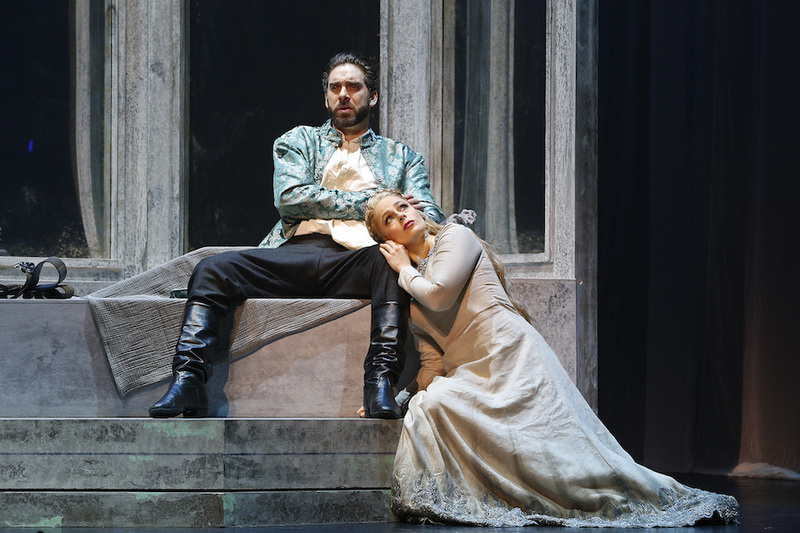 Highlights include the Australian premiere of William Tell, Jessica Pratt in The Capulets, and Pelleas and Melisande. Musicians receiving funding include Liza Lim, Richard Mills, Mary Finsterer, Richard Gill’s ARCO and Chamber Made Opera. Jessica Pratt’s sleepwalker gets a free outing on the European opera streaming website, in a first for an Australian company. Jessica Pratt could bring the house down in her sleep. The cabaret diva returns to Victorian Opera to star in “an operatic fantasia” about the courtesan through history. Michieletto flashes his verismo credentials as Torre goes for double gold. WA Opera celebrates its half century with three audience favourites and a special gala concert in the park. From fables to fairy stories, from puppets to prostitutes, Richard Mills aims to run the operatic gamut. Director and commedia dell’arte expert Emil Wolk explains how post-WW2 Italy is uncannily like present day Australia.